Are You Confident That Your Annual Report is More Compelling than Your Competition? Do you need help writing your annual report? Does your communications staff have the bandwidth to produce your annual report on top of their usual duties? Do you realize the value a well-written report could add to your business? Would you like your annual report to stand out from the competition? If you answered yes to any of these questions, Executive Communications expert writers can help. Your annual report is an opportunity to share your organization’s achievements. It has the power to generate valuable interest in what you do, reinforce your brand and to positively influence investors. With professional writing by an experienced annual report writer, that power is greatly increased – while the burden on your communications staff is relieved. We understand how to translate your corporate identity into an appropriate writing style. 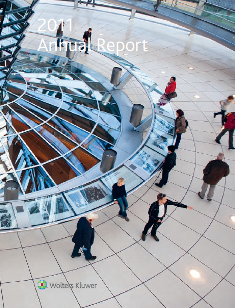 Achieved 9th place in the LACP Vision Award listing of the top 100 worldwide Annual Reports. The report narrative, edited by Executive Communications, was given two Gold Awards.